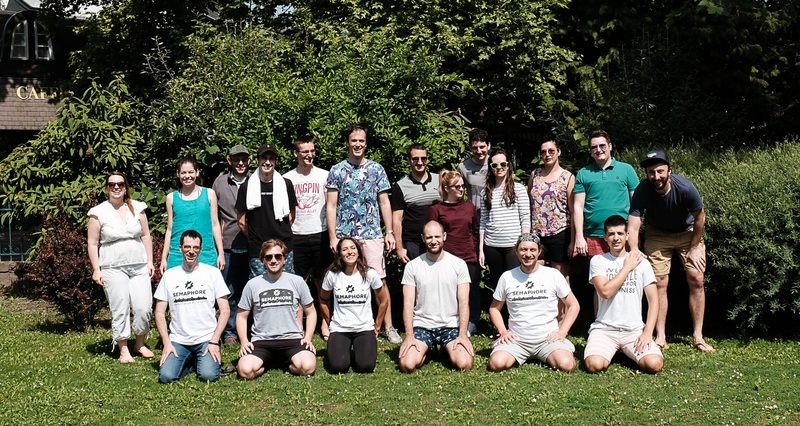 At the end of May the Rendered Text / Semaphore team went to a three-day retreat at lake Balaton in Hungary. In the past 18 months we’ve become an increasingly distributed and international company. In that context, team retreats become an essential part of operation. You can certainly perform the work and communicate with your immediate coworkers remotely without any issues. But only through face to face time we can create a deeper connection. Balaton is a beautiful place. We visited at a point when the weather was just right to spend all time outside, do yoga on the water on a paddle board, or jump into the (huge) lake. And the tourist season hadn’t started yet, so everything felt very relaxed and cozy. Good times. Rendered Text co-founder. Started with code, currently more focused on people and words. Foosball striker and entry-level cyclist.